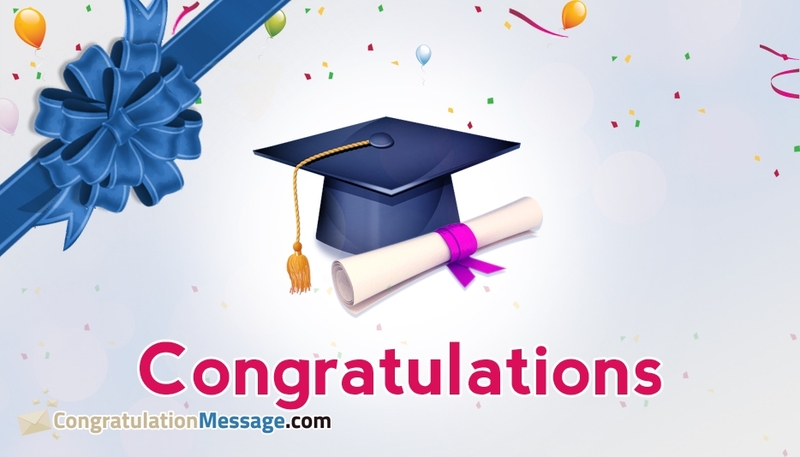 Congratulate your dear friend/cousin/niece/love or colleagues and your dear ones for their completion of graduation. The picture portrays the image of graduation cap and the graduation certificate along with the message "Congratulations". A pat on the shoulders through this congratulations picture could make your younger brothers, sisters, sons, daughters, friends feel more confident and strive hard to achieve more.